Today we will highlight one of the best instant messengers online and honestly, maybe the best alternative to Skype, besides WhatsApp. I introduce to you Viber. Is Viber worth your time to install and download? I argue yes, here is why. Viber is a mobile application that allows you to make phone calls and send text messages to all other Viber users for free! Viber is available over WiFi or 3G/LTE. Our sound quality is much better than a regular call. 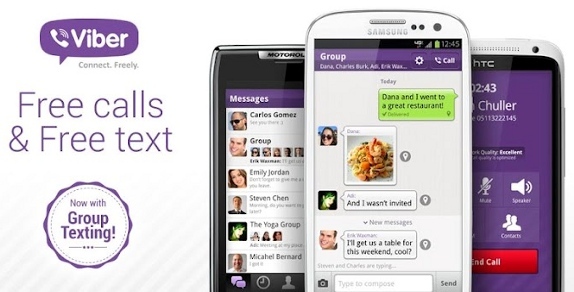 Once you and your friends install Viber, you can use it to talk and message as much as you want. Talk, message, and talk and message some more – for free. Just like Skype. Does it cost anything to use Viber? Viber to Viber messages and calls are completely free. Does Viber works on my phone? Viber works on most Android, iPhone, Blackberry, Windows Phone, Nokia and Bada devices. Viber is also available for Mac, Linux, Chrome and of course Windows. Previous story What Is Android Auto?